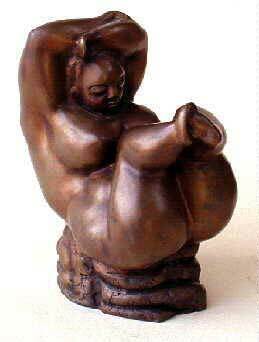 "Pregnancy" h. 60 cm. Ceramic. 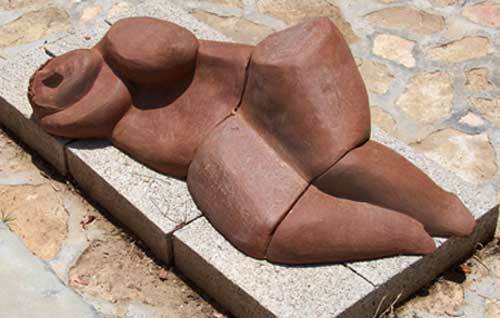 "The exhibition features variations on the perennial topic of the female body. 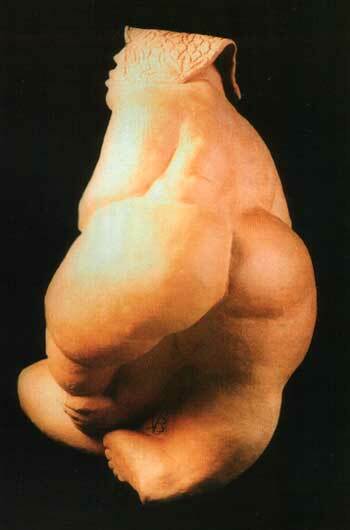 The human body and especially the female form has fascinated artists since time immemorial. 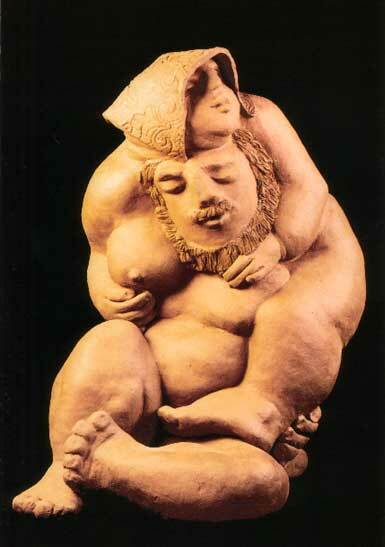 Conventions have changed and tastes may differ but the allurement of the human physique endures. 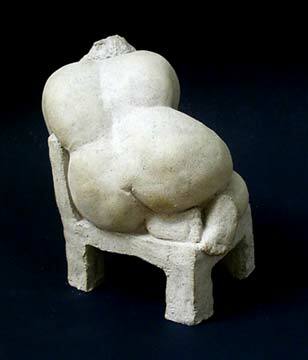 The exhibition reflects women and womanhood. 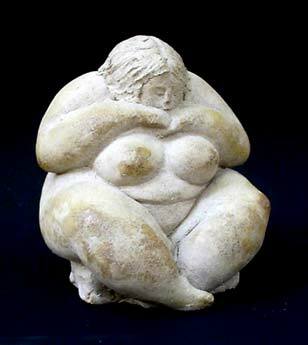 Here we refer neither to femininity in the sense of dressing up in the latest fashions, nor femininity of a romantic, delicate character, but rather we invoke the firm, fertile femininity reminiscent of mother earth, similar to the creative material for sculpture. 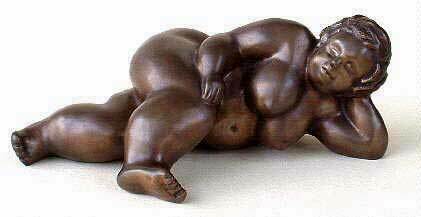 They are solid with curved limbs like clay jars for storing staple commodities and their production eventually developed into the art of pottery." 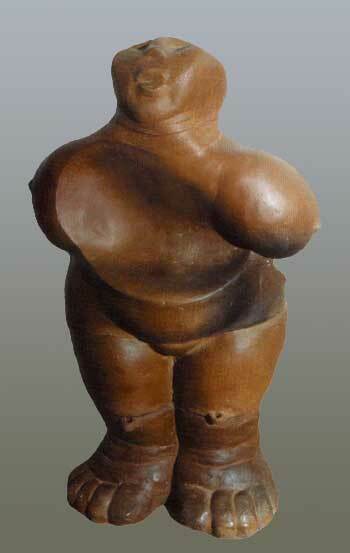 "Plump Woman" h. 45 cm. Ceramic. 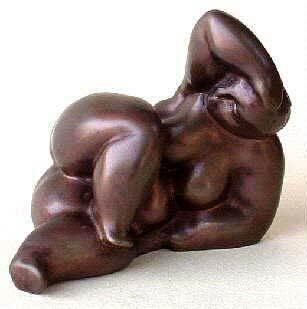 "Woman in Rest" Bronze. 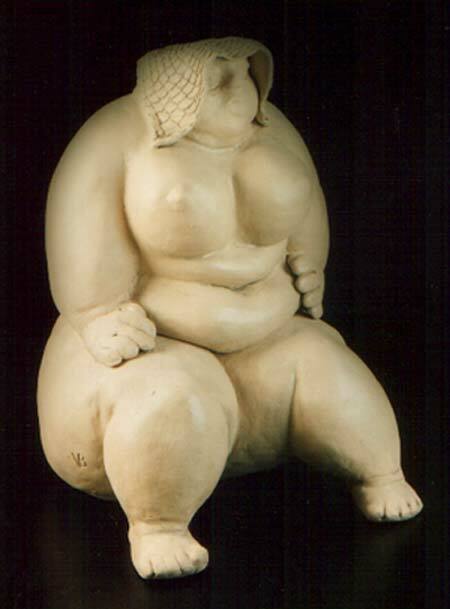 h.40 cm. 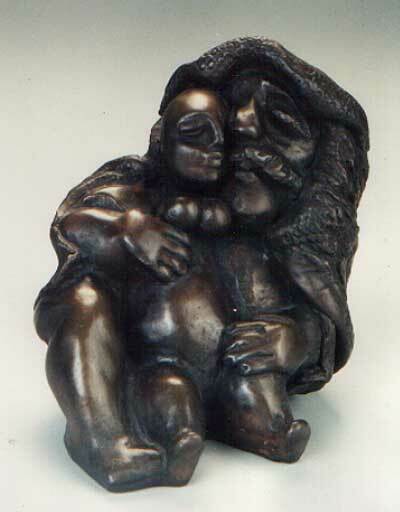 "Figure 1" Bronze. 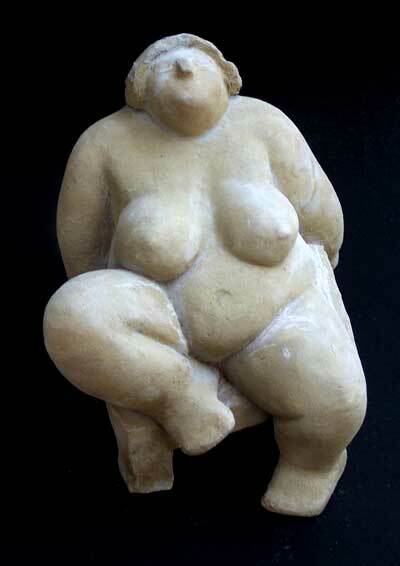 h.18 cm. 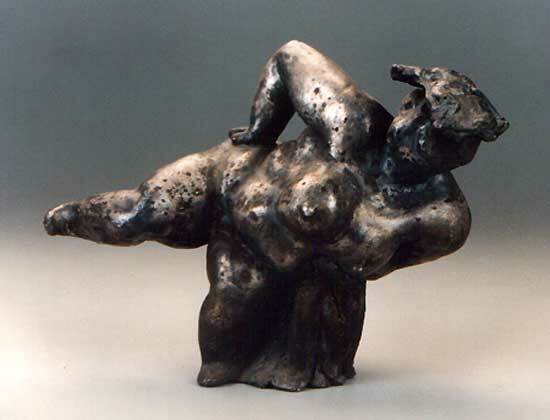 "Figure 2" Bronze. h. 15 cm. 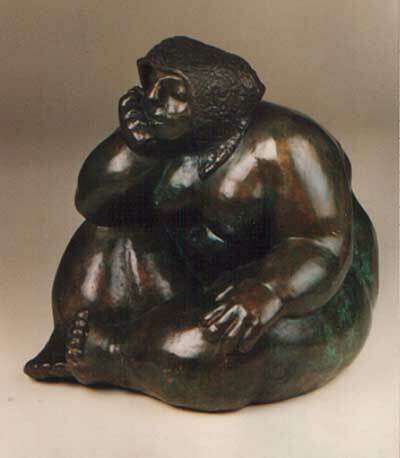 "Figure 3" Bronze. 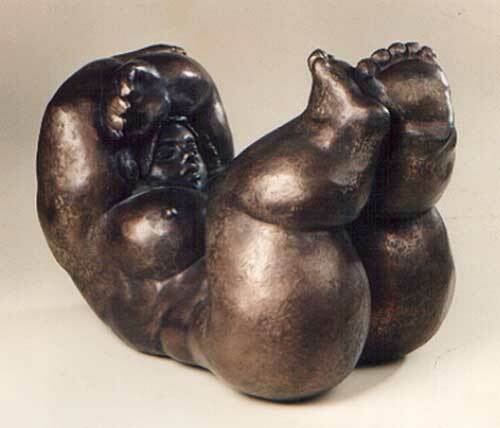 h 15 cm. 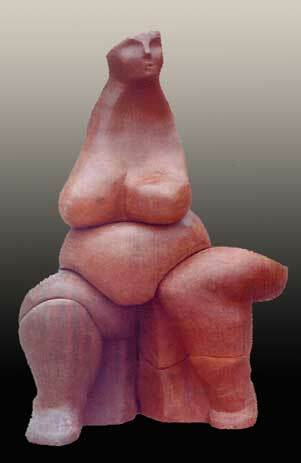 "Sitting Woman" h.25 cm. Ceramic. 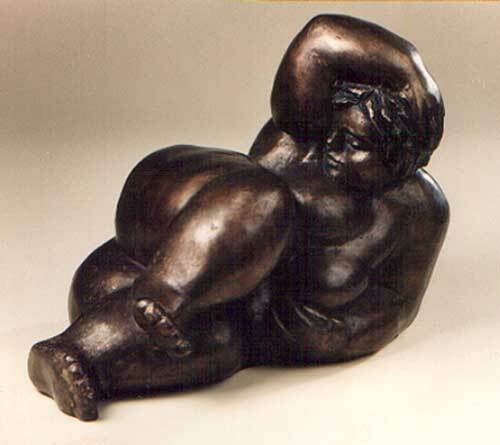 "Figure 10" h.25 cm. Ceramic. 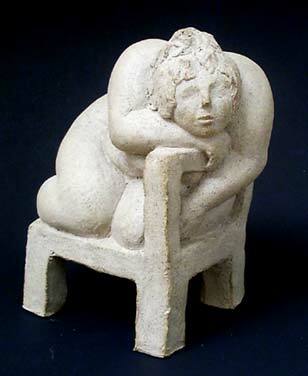 "Sitting Woman 2" h.25 cm. Ceramic. 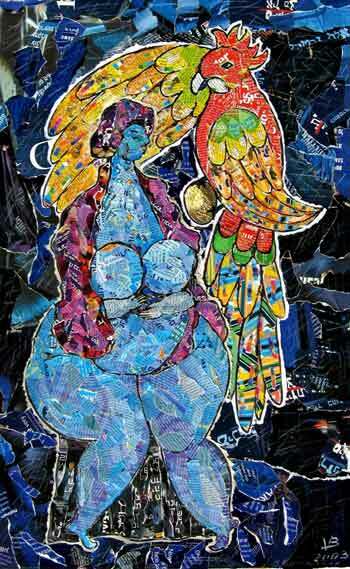 "Mother Earth" h.118 cm. Ceramic. 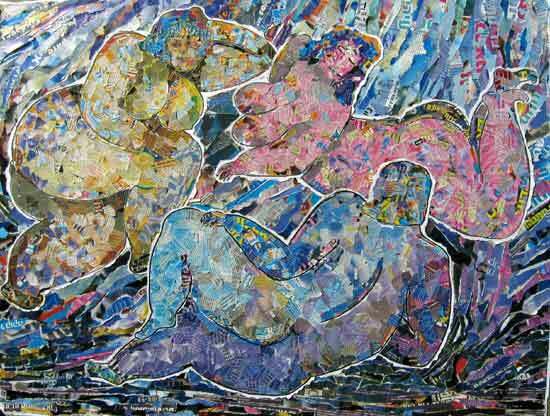 "Three Charities [Gracias]" 120x100 cm. 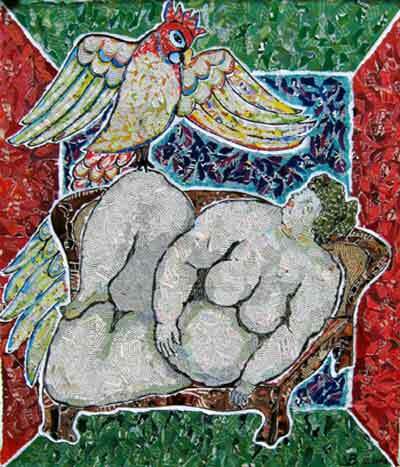 Click for Detail of "Three Charities [Gracias]"
"Woman & Parrot" 80x70 cm. "Woman & Ox" 70x50 cm. 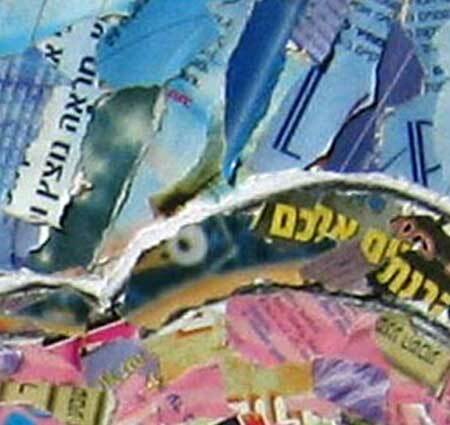 Born in the USSR, living and creating in Eid Hod Artist Village, Israel.